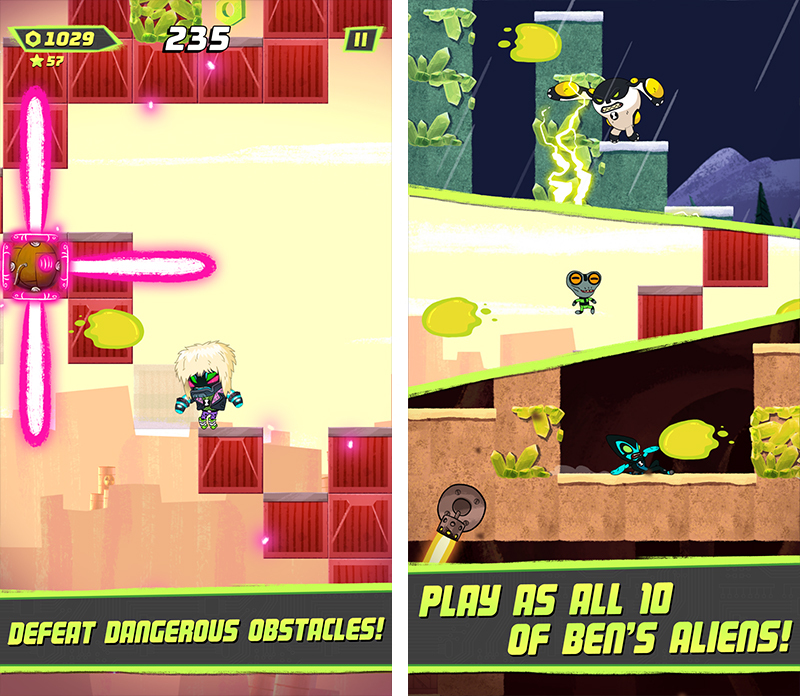 Description Use Ben 10’s alien heroes to battle your way through a wacky obstacle course in Super Slime Ben! Run, jump and climb to outrun the slime! You’ll face flying slimeballs, enemy creatures, disappearing blocks, and many other hazards as you try to escape. How high can you make it before the slime overtakes you? 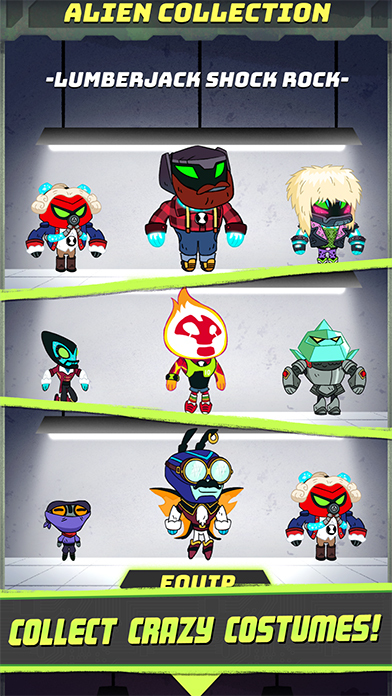 Play as all ten of Ben’s alien heroes, PLUS Omni-Enhanced and crazy costumed versions of the aliens. 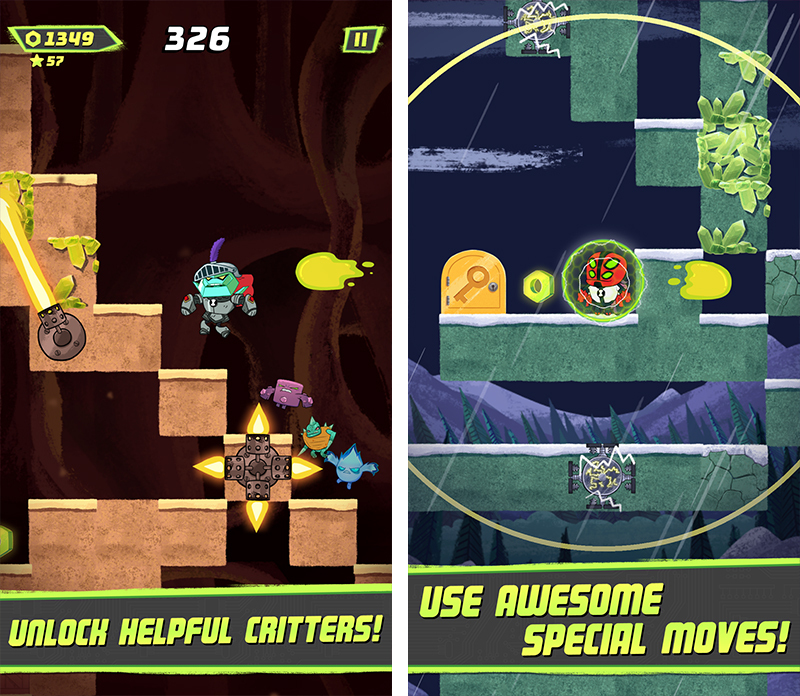 Chase down and collect a variety of critters with special powers. There’s always someone new to unlock! Created in partnership with Tiny Monster Studios.